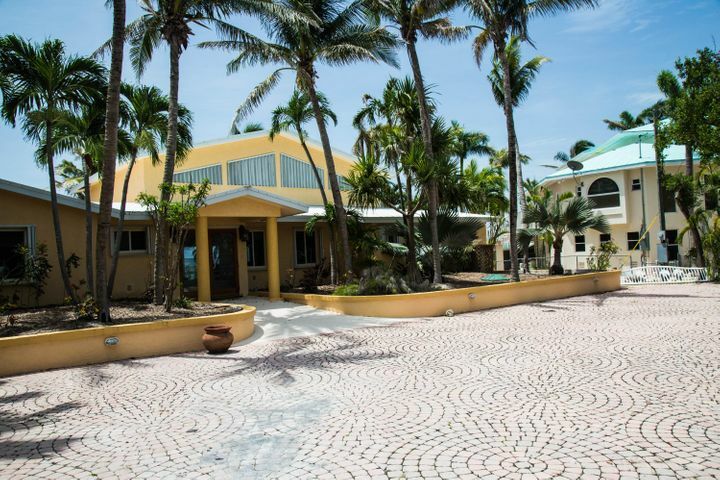 This sprawling oceanfront home sits on 3/4 of an acre, behind a gated entrance, with stunning ocean views from nearly every room. Private entrance with a mosaic of pavers, tropical landscaping, and fountain, 1 bedroom/1 bath guest cottage. Spectacular oceanfront swimming pool. Hurricane Damaged. Being sold ”As-Is”.